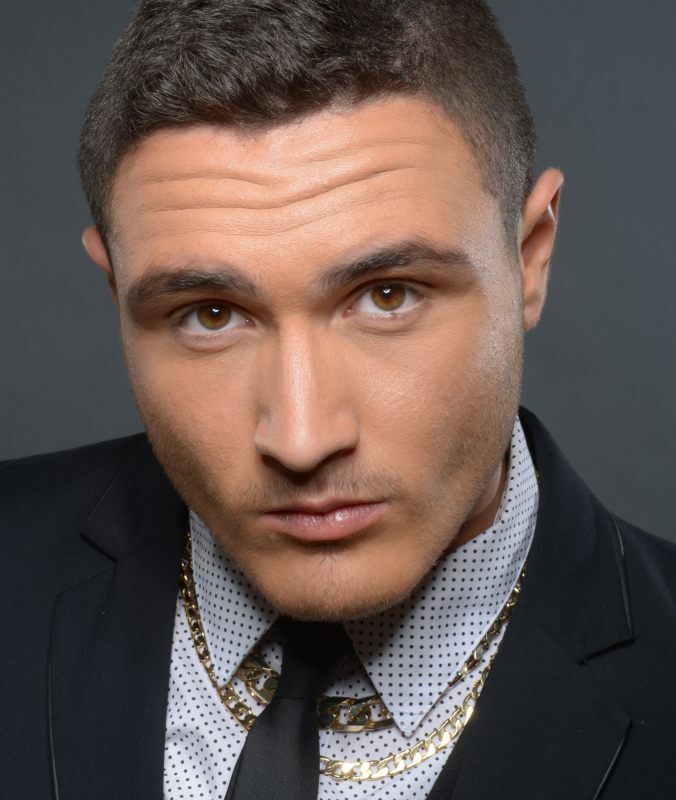 16-years old Nadav Guedj will represent Israel at Eurovision Song Contest 2015. He was born in Paris on 02 November 1998, his family returned to Israel when he was 3, and now lives in Netanya, where studies at ORT Yad Leibowitz school. He has been singing since he remembers himself, but his first appearance in public was at the bar mitzvah of his older brother when he was 10. Currently he sings in a youth band in Netanya and at evenings works as a waiter. He also has talent in field of dancing and plays drums. A year ago he took part in a musical "Mary Lou", a theater stage musical based on the songs of Zvika Pik. He rose to the fame taking part and winning on 17 February 2015 talent show "The Next Star" and being chosen as it's winner to represent Israel at Eurovision. 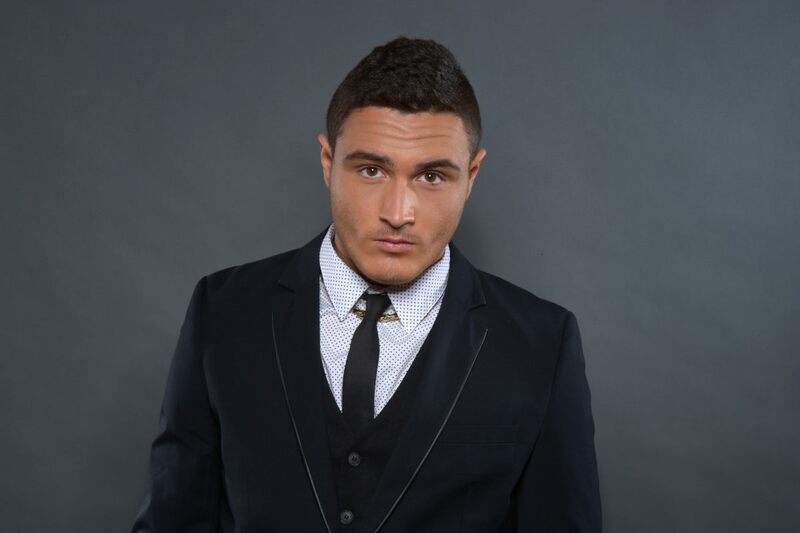 Nadav likes to listen to the music in styles RnB, pop, soul, hip hop and has extensive list of acts he admires: Usher, Justin Timberlake, Stevie Wonder, Beyonce, Ne Yo, Bruno Mars, Maroon 5, Chris Brown, Pharrell, Timbaland, and his biggest fantasy is to perform together with Usher. In future Nadav would like to work on my his own original material and would also like to continue trying himself in acting. With a powerful voice and a bag full of charm, Nadav brings a fresh combination of European-Mediterranean sounds and influences to the Eurovision song contest. "This is crazy. Thank you to every single person who voted for me. I could have done a little better, but I feel that I delivered the goods. I'll keep working on my studies, and at least do my Bagrut (Israel's final exams)." On 26 February IBA's Yoav Ginai has announced that Nadav Guedj will sing at Eurovision song titled "Golden Boy", written by Doron Medalie (wrote the song "Fantasia" for the Israel NF in 2013, and staged Israeli entries in 2008, 2010 and 2013), arranged and produced by Yinon Yahel. The song was chosen by preselection committee that included: on behalf of IBA: chairman - Dr. Moshe Morad, director of 88 FM, Yuval Ganor - Israel Radio, Tali Katz - Channel One, on behalf of "Teddy" productions: Tamira Yardeni, Yoav Sfeir, Mira Spiegel. The entry was presented in 10 minutes special, broadcasted by IBA 1 on 12 March at 20.00 CET. Medalie describes the style of the song as a "Middle Eastern Pop anthem" which fuses together contemporary Pop and R&B with the famous Middle Eastern ethnic beat. The lyrics of "Golden boy" tells a simple yet emotional story about a broken hearted boy who decides that the best cure for his ache is to go out, celebrate life and invite people to enjoy it with him. The Music video for the song shows Nadav in the middle of the sunny city that never sleeps - Tel Aviv and was shot in different locations such as the rooftop of the local city hall, in the middle of an urban rave that hosted 60,000 dancing participants and at Rabin's square, a local well known landmark. Our next guest is representative of Israel Nadav Guedj, who at the age of 16 is one of the youngest participants of the Eurovision Song Contest this year. "I'm so excited to be part of this contest. It really does feel amazing", says young singer adding "I don't really feel a pressure, I'm just super motivated to perform at the Eurovision song contest and represent everybody in my country". 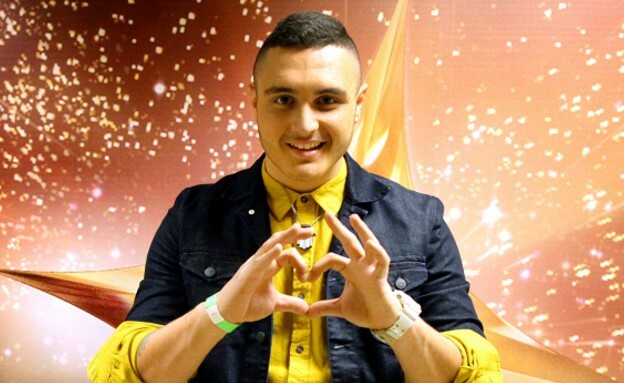 Nadav became Eurovision participant after winning "Hakochav Haba" (Rising star) show, which he joined seeing the advertisements for auditions in his hometown. "I came to "Hakochav Haba" and focused on doing the best I can. I hoped I would win but never really saw myself as the winner, and therefore originally never really thought I'd become Israel's participant to the Eurovision song contest". 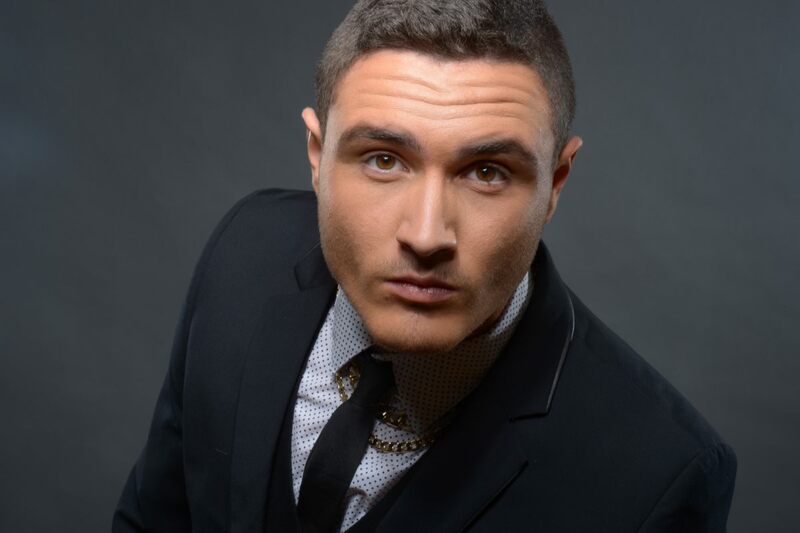 "I hope to bring a fresh combination of European-Mediterranean sounds and influences to the contest"
At the contest Nadav will be performing song "Golden Boy". The song selection was made by a special committee of experts, while Nadav also took part in the decision making process and had a say all through it. "Inside the committee, after listening to dozens of songs, "Golden boy" immediately took all the attention in the room", he explains. Nadav describes his entry as being about "a broken hearted young guy who decides to get out of his bad mood by taking a break of three minutes and letting himself loose". Currently Israeli team is working on remixes for "Golden Boy" and remains really open to any new ideas for different versions and mixes. Nadav doesn't reveal yet the details of his stage presentation, but assures everyone they are planning to rock the stage. "I am working with an amazing team that includes the director of “Hakochav Haba” Yoav Tzafir, the Dj and producer Yinon Yahel, the choreographer Claude Dadia, the songwriter Doron Medalie and Creative director Elad Weissman", he says adding that Israeli fashion designer David Sasson is in charge of tailoring and making of all the outfits for the performance. The preparation schedule is very busy: "I actually don't have an hour for myself. I work day and night to get the performance perfect. I work on my dance moves, vocals and stage performance as much as I take time for doing interviews and participating in media events and promotion concerts :)". Nadav plans to do some European promotional tour in April, and among confirmed locations for it he names Eurovision parties in Amsterdam and Moscow. "I think it's very important for us to tour Europe and sing in front of local fans. We want to spread our song to as many people as possible", he says. He is looking forward meeting other contestants and reveals that his top favourite right now is the Australian entry. You can keep up with updates from Nadav and Israeli camp on their official Facebook. "I feel that the Eurovision competition is all about celebrating diversity and music. I Hope to Dance together with all my European brothers and sisters"
Full text version of the interview is available on OGAE Rest of the World Facebook page. 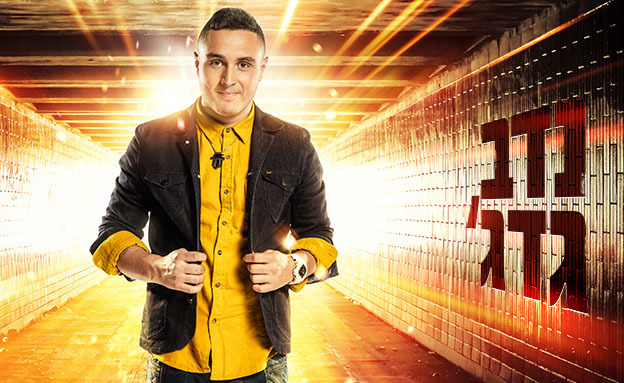 Nadav Guedj is proud to present the official remix for Golden Boy – the Israeli entry for 2015 Eurovision song contest. Not long before the rehearsals start in The 'Wiener Stadthalle' at the hosting city of Vienna, Nadav Guedj, the Israeli representative to the competition, is planning to conquer Europe's Dance floor by releasing the remix for his song 'Golden boy'. The official remix for 'Golden Boy' was made by a collaboration of Nadav and a special team led by DJ and producer Yinon Yahel, who already worked with Super stars such as P.Diddy, Madonna and DJ and producer Offer Nissim. Nadav and Producer Yahel are releasing the remix with the full intention of making it a Mega 'Party Banger'. The newly released remix fuses the original style of the song, a mix of contemporary Pop, R&B and the famous Middle Eastern ethnic beat, with new and fresh house and electronic beats. Nadav Guedj, who competes for Israel, met the Austrian artist Bernd Püribauer in Vorarlberg, where he was perpetuated in a special way. On Saturday Israeli Eurovision representative Nadav Guedj has presented his entry for the very first time during the special collaboration party in Haoman 17 Tel Aviv club between ARISA and DRECK gay clubs. The party was devoted to the Passover holiday celebrated in Israel and featured 7 DJs storming the 2 dancefloors in this huge event that went on 12 hours with non-stop oriental and dance music. Among the other guests of the party were Dalit Rachester and Uriel Yekutiel. You can watch Nadav's performance here. 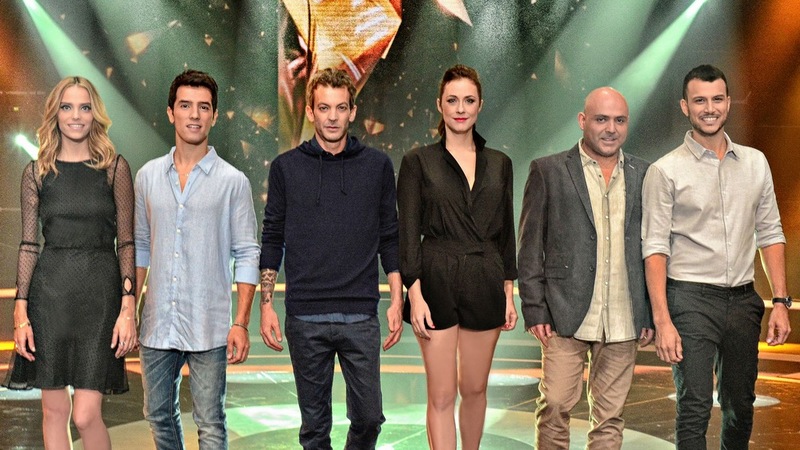 After an agreement with Israeli broadcaster IBA, the winner of the 2nd edition of "The Next Star" (HaKokhav HaBa "הכוכב הבא"), show known worldwide as "Rising Star", produced by Teddy Productions and broadcasted on the Israeli Channel 2 Keshet, will represent Israel in the Eurovision Song Contest 2015. Teddy productions would also be responsible for the costs of producing and recording the Israeli entry whilst IBA would be the broadcaster of the ESC 2015 itself. "The Next Star" is a popular talent show, which format, originating in Israel has also been sold to United States, United Kingdom, Spain, Italy, France, Russia, Germany, Hungary, Brazil, Portugal, Argentina, Turkey, Indonesia, Japan, China. The show is a continuation of the former format "Kokhav Nolad" (A Star is Born). Boaz Mauda was the winner of this talent show in 2008, and later that year he was chosen to represent Israel in Eurovision. In addition to an Eurovision Song Contest this year's winner will receive other awards including: air conditioner, iPhone 6 with a year mobibe package etc. On 30 September it has been revealed that Marina Maximillian Blumin turned down the chance to represent Israel in Vienna. She was chosen by IBA radio station 88FM stuff as prime choice to represent Israel at the Eurovision 2015. Runners-up in the poll were Esther Rada and Asaf Avidan. Upon her decline of the offer, IBA has struck the deal with Keshet. 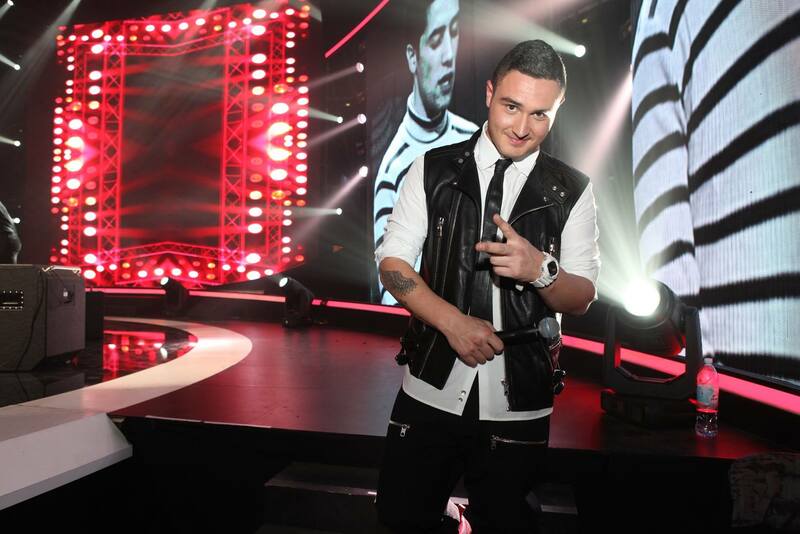 "The Next Star" kicked off with the broadcast of the auditions phrase on December 9th. 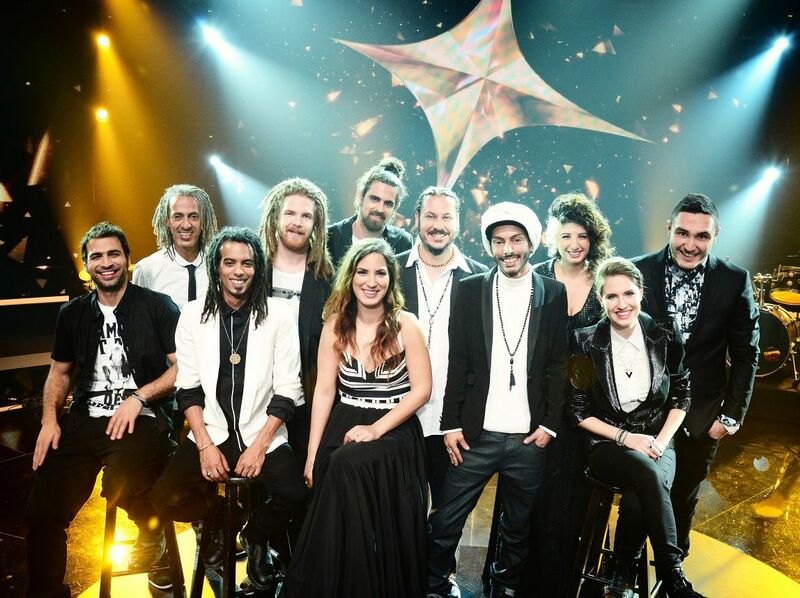 The show is hosted by Asi Azar and Rotem Sela and the judging panel is made of Assaf Etedgi, Mookie, Keren Peles and Harel Skaat (ESC 2010). A total of 45 acts have qualified to the second phase by getting more than 70% of the votes by the viewers and jury and "lifted the screen". In the next stage, each of the participants went into a "rehearsal room", while the jury was watching and listening to the rehearsal and deciding if a specific act will go through to the next stage or not. In order to qualify to the next stage, an act must get at least three votes (out of four) from the jury. 15 acts participate in each show and 5 best qualify from each show to the next stage. If there are more than 5 acts with at least three votes at the end of the program, the jury will have to decide which acts will not proceed to the next stage. The 16 participants of the 3rd round were determnined on 14 January 2015. After the duels stage on 20 January, 10 participants remained in the show. Programs are broadcasted on Sundays and Tuesdays at 20.00 CET. Final of the show is set for 17 February and contest entry for the winning performer will be chosen later. Full episodes of the program can be seen here. 16-летний Надав Гедж представит Израиль на конкурсе Евровидение 2015. Он родился в Париже 2го ноября 1998 года, его семья вернулась в Израиль, когда ему было три года, и в настоящее время он живет в Нетанье, где учится в школе ORT Yad Leibowitz. Сколько он помнит себя с детства, он всегда пел, но впервые выступил на публике в возрасте 10 лет на обряде бар-мицва своего старшего брата. В настоящее время он поет в молодежной группе в Нетанье и подрабатывает вечерами в качестве официанта. Также у него есть талант к танцам и он играет на ударных инструментах. Год назад он принимал участие в театральной постановке мюзикла "Mary Lou", основанного на песнях Звики Пика. Популярность к Надаву пришла с участием и победой 17го февраля 2015 года на шоу талантов "The Next Star" (в российском аналоге - "Артист"), в результате чего он и был выбран представителем страны на Евровидении. Надав любит слушать музыку в стилях RnB, поп, соул, хип-хоп, и имеет довольно широкий список любимых исполнителей, в число которых входят: Usher, Джастин Тимберлейк, Стиви Уандер, Бейонсе, Ne Yo, Брюно Марс, Maroon 5, Крис Браун, Pharrell, Timbaland, а его самой большой мечтой является выступить в дуэте с Ашером. В будущем Надав хотел бы поработать над записью оригинального сольного материала, а также продолжить карьеру в качестве актера. Своим мощным голосом и огромным запасом шарма, Надав привнесет на конкурс свежую смесь европейско-средиземноморских звучаний и музыкальных влияний. "Это просто невероятно. Спасибо каждому, кто проголосовал за меня. Я мог бы выступить немного лучше, но я думаю, что и так показал себя неплохо. Сейчас я планирую вернуться к учебе, ведь мне еще надо сдавать выпускные экзамены в школе"
26го февраля представитель телеканала IBA Йоав Гинай объявил о том, что Надав Гедж исполнит на Евровидении песню "Golden Boy", написанную Дороном Медали (автор песни "Fantasia" в национальном отборе 2013 года, постановщик номеров Израиля на Евровидении в 2008, 2010 и 2013 годах), аранжировка и продюсирование Йинона Яхеля. Песня была выбрана отборочным комитетом, в который входили три представителя от израильского телевидения IBA, и три - от компании "Teddy productions". Песня была представлена в короткой 10-минутной программе телеканала IBA 1 12го марта в 22:00 Москвы. Медали описывает стиль песни, как "ближневосточный поп-гимн", в котором сплелись воедино современные поп и R&B тенденции со знаменитым ближневосточным этническим звучанием. Текст песни "Golden Boy" рассказывает простую, но в то же время глубоко эмоциональную историю о том, как молодой парень с разбитым сердцем пытается исцелить свою боль, гуляя, празднуя и приглашая всех присоединиться к нему. Видеоклип на песню показывает Надава в центре солнечного города, который никогда не спит - Тель-Авива, и был снят в нескольких его примечательных точках, например на крыше городской ратуши, в центре городской вечеринки, собравшей 60 тысяч танцоров, и на площади Рабина, известной местной достопримечательности. Нашим следующим гостем становится представитель Израиля Надав Гедж, который в возрасте 16 лет является одним из самых молодых участников Евровидения этого года. "Я невероятно рад стать участником данного конкурса. Чувства просто потрясающие", говорит молодой исполнитель, добавляя "Я не испытываю какого-либо давления, я просто супер мотивирован отлично выступить на Евровидении и представить всех жителей моей стран". Надав стал участником Евровидения после победы на шоу "Hakochav Haba" (российский аналог - шоу "Артист"), в котором решил принять участие просто увидев рекламу в своем городе о предстоящих кастингах. "Я пришел на "Hakochav Haba" и сфокусировался на том, чтобы показать себя в нем с наилучшей стороны. Конечно, я надеялся победить, но, честно говоря, не рассчитывал, что стану победителем, и потому первоначально и не думал о том, что я могу стать представителем Израиля на Евровидении". "Я хочу привнести в конкурс свежую комбинацию европейско-средиземноморского звучания и музыкальных влияний"
На конкурсе Надав будет исполнять композицию "Golden Boy". Выбор песни был сделан специальной комиссией из экспертов, но сам Надав также принимал участие в ее работе и активно высказывал свое мнение о предлагаемых песнях. "На заседании этой комиссии, мы прослушали уже несколько десятков песен, и когда прозвучал "Golden Boy", то он сразу же привлек к себе внимание всех собравшихся", объясняет исполнитель. Сам же свою песню он описывает как рассказывающую "о молодом парне с разбитым сердцем, который решает попытаться поднять себе настроение сделав небольшой перерыв на три минуты и полностью расслабиться". В настоящее время команда Израиля работает над созданием ремиксов на песню "Golden Boy" и готова рассмотреть любые идеи о выпуске новых версий или миксов песни. Надав пока не раскрывает деталей своего сценического номера, но заверяет всех о том, что на сцене они зажгут по-настоящему. "Со мной работает потрясающая команда, в которую входят руководитель шоу "Hakochav Haba" Йоав Тзафир, диджей и продюсер Инон Яхел, хореограф Клод Дадиа, автор песни Дорон Медали и креативный директор Элад Вейссман", представляет он, добавляя о том, что созданием всех костюмов исполнителей займется известный израильский дизайнер модной одежды Давид Сассон. Расписание подготовки к конкурсу у артиста довольно напряженное: "У меня не бывает ни одного свободного часа на себя самого. День и ночь я репетирую, оттачивая выступления. Я работаю над своими танцевальными движениями, вокалом и номером вообще примерно столько же времени сколько я уделяю интервью и участию в различных мероприятиях и промо-концертах :)". Надав планирует небольшое европейское промо-турне в апреле, и из стран, которые он точно посетит, исполнитель называет вечеринки Евровидения в Азербайджане и в Москве. "Я думаю, что это очень важно, побывать в Европе и спеть для местных поклонников. Мы хотим распространить свою песню, чтобы ее услышали как можно большее количество людей", говорит певец. Он с нетерпением ждет возможности встретиться с другими конкурсантами, и отмечает, что его собственным фаворитом в настоящее время является песня Австралии. Следить за подготовкой Надава и команды Израиля вы можете на их странице в Facebook. "Я чувствую конкурс Евровидение - как праздник музыки и разнообразия. Я надеюсь, что со мной вместе будут танцевать все мои европейские братья и сестры"
Надав Гедж представил официальный ремикс на песню Golden Boy, представляющую Израиль на Евровидении 2015. Незадолго до начала репетиций в 'Wiener Stadthalle' представитель Израиля Надав Гедж планирует завоевать европейский танцпол, выпустив ремикс на свою конкурсную песню 'Golden boy'. Ремикс стал результатом сотрудничества Надава и специальной команды во главе с диджеем и продюсером Йиноном Яхелем, который ранее работал с такими суперзвездами, как P.Diddy, Madonna и диджеем и продюсером Офером Ниссимом. Ремикс основывается на оригинальном стиле песни, смеси современной поп-музыки, R&B и знаменитого ближневосточного ритма, совмещая их со свежим хаус и электронным битом. Надав Гедж, который представляет Израиль, встретился с австрийским художником Берндом Пюрибауером в Форарльберге, где был увековечен неожиданным способом. В субботу, представитель Израиля на Евровидении Надав Гедж впервые исполнил свою песню вживую в рамках совместной вечеринки в клубе Haoman 17 в Тель-Авиве, организованной крупнейшими гей-клубами города ARISA и DRECK. Вечеринка была посвящена отмечаемому в Израиле празднику Песах, в рамках грандиозного мероприятия продлившегося 12 часов в двух залах клуба 7 диджеев играли восточную и танцевальную музыку non-stop. Среди других гостей концерта были Далит Рачестер и Уриел Йекутиел. Видео выступления Надава вы можете увидеть здесь. По соглашению с национальным израильским вещателем IBA, победитель 2го сезона телешоу "The Next Star" (HaKokhav HaBa "הכוכב הבא"), известного во всем мире как "Rising Star", а в России выходящего под названием "Артист", спродюсированного компанией Teddy Productions и выходящего в эфир на 2м телеканале израильского телевидения Keshet, представит Израиль на конкурсе Евровидение 2015. Teddy Productions также будет отвечать за затраты продюсирования и записи песни Израиля для конкурса, а IBA продолжит оставаться вещателем самого международного конкурса. "The Next Star" - популярное шоу талантов, формат которого, разработанный в Израиле был продан в США, Великобританию, Испанию, Италию, Францию, Россию (шоу "Артист" на "России 1") Германию, Венгрию, Бразилию, Португалию, Аргентину, Турцию, Индонезию, Японию и Китай. Шоу является продолжением ранее разработанного формата "Kokhav Nolad" (A Star is Born). Победитель этого шоу талантов в 2008 году Боаз Мауда также был выбран для того, чтобы представить Израиль на Евровидении. Помимо собственно участия в Евровидении, победитель получит другие призы: iPhone 6 с годовой подпиской, кондиционер воздуха и годовой запас Кока-колы. 30го сентября стало известно, что певица Марина Максимиллиан Блумин отклонила предложение представить Израиль на Евровидении в Вене. Ее кандидатура была выбрана работниками радиостанции 88FM входящей в рамки IBA, как основная для участия на конкурсе. Второе и третье место в опросе заняли Эстер Рада и Асаф Авидан. После отказа Блумин IBA заключил договор с компанией Keshet. Эфиры "The Next Star" начались со стадий прослушиваний 9го декабря 2014 года. Ведущими шоу являются Аси Азар и Ротем Села, а в состав жюри входят Ассаф Этедги, Муки, Керен Пелес и Арель Скаат (участник Евровидения 2010). Всего во вторую стадию конкурса удалось пробиться 45 участникам, которые получили свыше 70% голосов жюри и телезрителей и смогли "поднять экран". Во второй стадии отбора за участниками в комнате для репетиций следила скрытая камера, а их репетиции оценивало жюри отбора, определявшее, достоин ли кандидат пройти в следующий раунд отбора. Для прохода ему было необходимо набрать по меньшей мере три "да" от 4х членов жюри. В каждом шоу принимало участие по 15 исполнителей и по 5 лучших из них выходили в следующий раунд. Если в конце шоу оставались свыше 5 конкурсантов с более чем тремя "да", то жюри определяло лишних из них. 16 участников третьей стадии отбора стали известны 14го января 2015 года. После стадии дуэлей 20го января в конкурсе осталось 10 исполнителей. Программы выходят в эфир по воскресеньям и вторникам в 22.00 Москвы. Финал шоу запланирован на 17 февраля, а конкурсная песня для его победителя будет выбрана позднее. С записями полных программ можно познакомиться здесь. Поздоровались ли вы уже, мои барышни? О да, тебе нравится как я танцую? Вот так мы делаем это!